So you are have a gluten intolerance, now what? 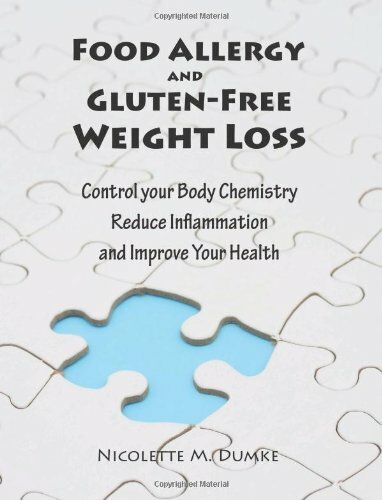 This book attempts to answer that questions, particulary if you are trying to lose weight. The recipe section is numerous and does not contain "all healthy" recipes-merely recipes that have been "healthified." The reader does not need to worry about being told to stick to fruits and veggies his/her whole life. One of the better portions of this book will help the reader customize his/her own personal plan towards weight loss. This should eliminate caloric intake and exercise problems. It is also great that the author took hormones into consideration when writing this book. One should, of course, consider body chemistry when attempting weight loss. This book is recommended to anyone looking for a fresh take on weight loss...and needs the recipes and suggestions to be gluten free. This is nice post. Some people are also affected Food Allergy. This post sharing a well information people how to affected from the Food Allergy. Good information on Food Allergy. This is really good read about the Food Allergy and its reasons. I have habit the make and try new food.